On my visit to Inorbit Mall in Pune, many a times I had come across this range of products that was sold in a makeshift shop that resembled a cart. The proucts, I am referring to is Aura Vedic. The brand is fairly new and you can either buy it at their own stores or buy it online from Goodlife and Natural Mantra. What I bought from their store was the Pure Lightening Sandal and Turmeric skin polish and I got a complimentary Green Tea face wash with it. Aura Vedic does not have fully functional website as yet, I would have loved to read more about how the company was founded, who the founders are and you know, the story behind Aura Vedic. I can probably save that for a later post. 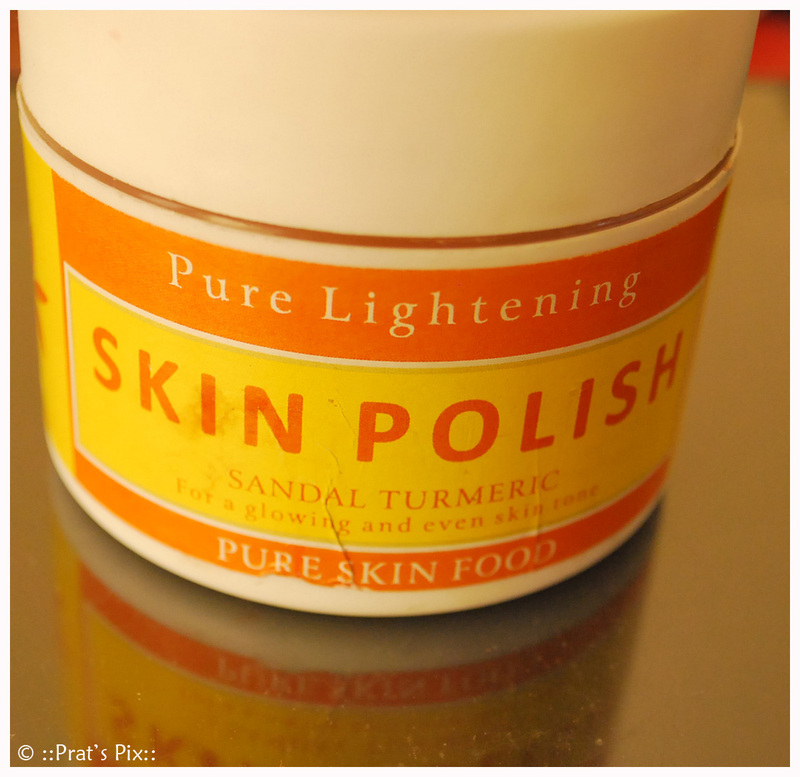 Getting back to the review, as mentioned I bought the Pure Lightening Sandal and Turmeric skin polish, the packaging of the product is very simple. It comes in a round white coloured plastic tub and the only drawback I found in the packing was that none of the products had a safety seal. Maybe just a foil that I could tear apart to make me feel that the product was not touched by anyone else. You can use this skin polish all over your body, but the first time that I used it I used it to wash my face just before I went to sleep. Since I have a combination skin, most of the times I wake up with an oily nose and forehead, but post the usage of this body polish, I noticed that there was no oiliness on my face. I did this three nights in a row and the result was the same. I left the polish on for a good 2-3 minutes before I rinsed it off with warm water. 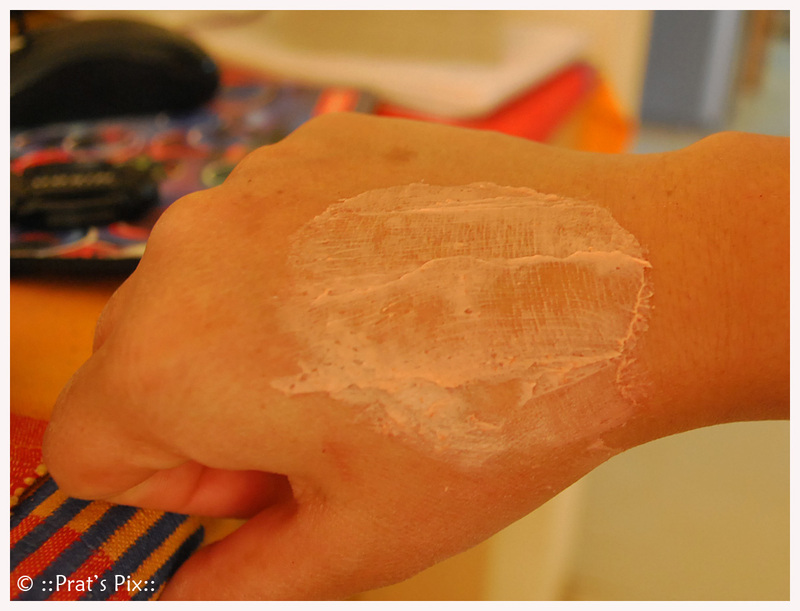 The only issue I faced with this skin polish was that when I was applying it, there was a slight burning sensation on my cheeks till was rubbing it on my face. The stinging sensation was not there when I just left the skin polish on for a couple of minutes. The granules are quite fine and the skin polish spreads well, amybe because of the beeswax content. I’ve taken a generous amount of it and scrubbed my hand with it which was quite smooth to the touch post washing it. 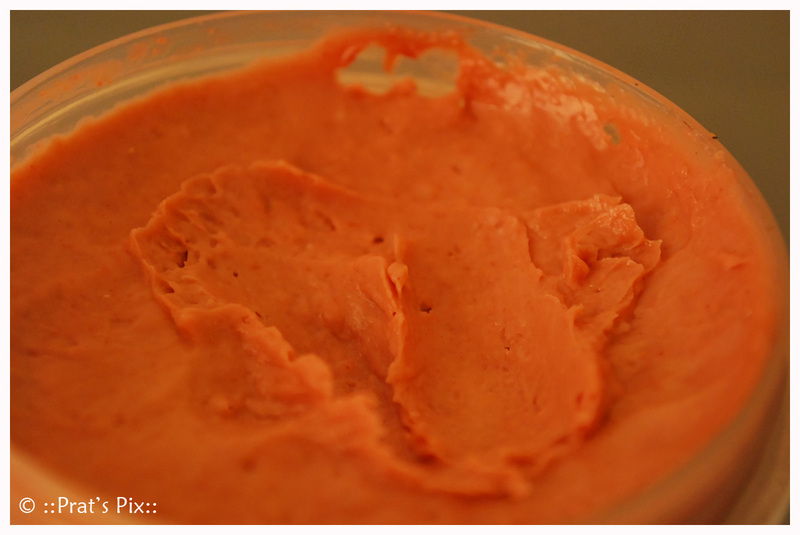 This product comes with a shelf life of two years and is priced at INR 300 ( three hundred) for a tub of 100gms. Much as I really like the product, I will first try the other skin polishes that Aura Vedic has before I settle down on one that suits me the most. There is value for money because I found the products of Aura Vedic tp be quite affordable. About the product: This advanced formulation is enriched iwth pure plant extracts to help even tone while refining and softening the skin. And its gentle enough for sensitive skin. Ideal for combination/normal to dry, sun damaged and uneven skin tone, discoloration and dark spots. What it contains: Kokum Butter, Mango Butter, Beeswax, Red Sandal extract, Turmeric extract, Jojoba Beads ( the granules), Sunflower oil, Olivem 1000, Oliwax, Polymer Granules, Sandalwood fragrance, Purified water, Phenoxyethanol. How to use it? 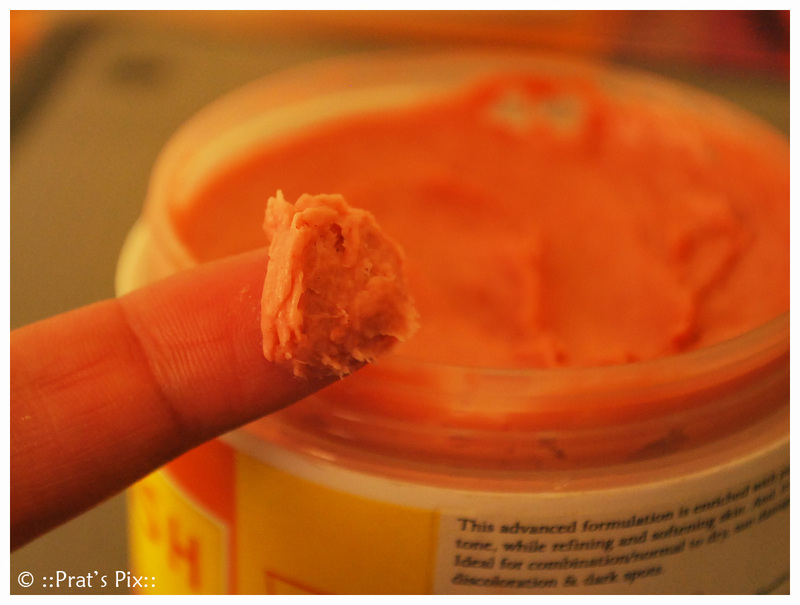 : Scoop on to fingertips and gently massage over clean damp skin using circular motions. Leave on polish for a minute before rinsing it off. 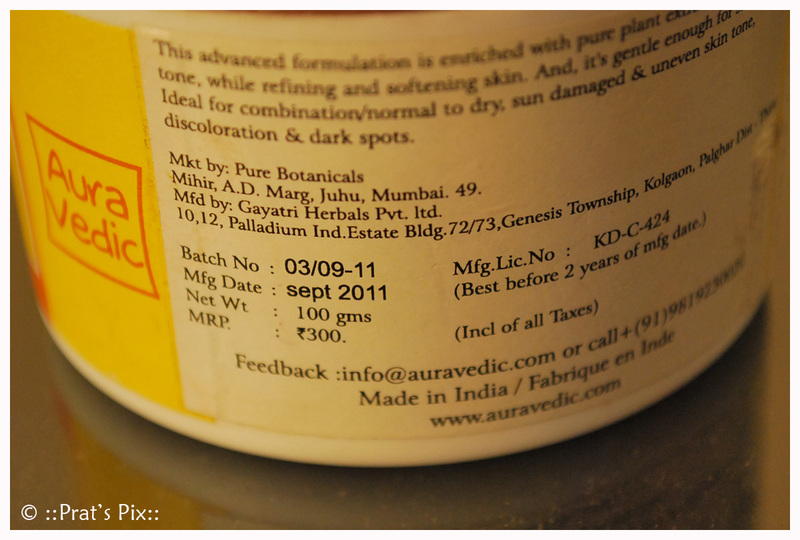 Where can I buy the Aura Vedic products online? : Here are the list of the Aura Vedic products are Goodlife and this is the list of the Aura Vedic products in Natural Mantra. Sandal Turmeric Skin Polish : Turmeric blended with red Sandal and pure essential oils in a delicious skin polish that fortifies the skin with fruit acids and essential vitamins. Buff away dead cells to unveil smooth, supple and bright skin. Free of Parabens, SLS, Harmful Chemicals & Colours. No artificial colours or chemicals. Not tested on animals.